Learn about the vertical line test for functions by trying to connect points in the plane to build a function. When you have connected all of the points, you will be told if your graph is a valid graph of a function. 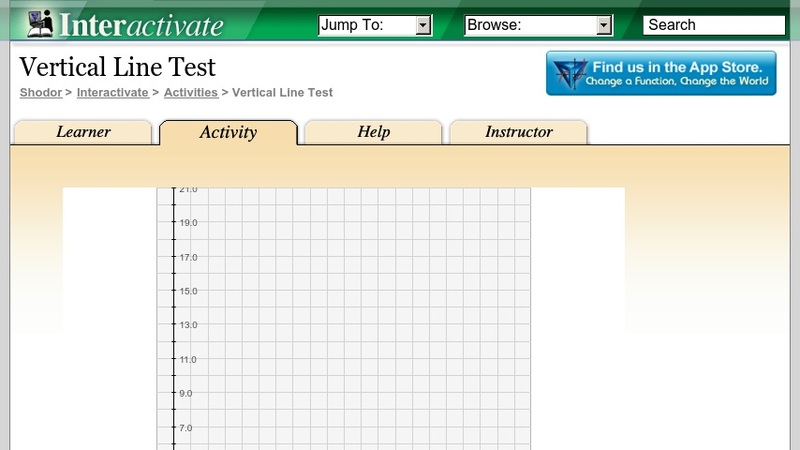 Vertical Line Test is one of the Interactivate assessment explorers.